Last season we won this fixture convincingly, with a goal from Eriksen and two from Kane bringing us a well-deserved 3-0 victory. In the Premier League we have played West Brom 18 times, winning 8 and losing only 3. There have been only 2 red cards in those games, one for each team. I think we have a 73% chance of scoring, a 32% chance of scoring more than once, and a 52% chance of keeping a clean sheet. The most likely scorelines are: a 1-0 win, a 1-1 draw, a 2-0 win, and a 0-0 draw. Overall I think there is a 51% chance of a Spurs win, a 28% chance of a draw, and a 21% chance of a WEST BROM win. 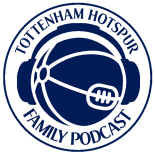 This entry was posted on 04/12/2015 by javadmovahedi in Uncategorized and tagged COYS, premier league, spurs, thfc, Tottenham Hotspur, TOTTENHAM HOTSPUR FC, Tottenham Hotspur Football Club, West Bromwich.